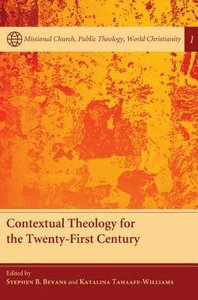 Scholars from the United States, Latin America, and Oceania reflect in this volume on the importance of contextual theology for our twenty-first century. Contextual theology offers fresh voices from every culture, and not just from the West. It calls for new ways of doing theology that embrace cultural values, but at the same time challenges them to the core. And it opens up new and fresh topics out of which and about which people can theologize. If the church is to be faithful to its mission, it needs to provide a feast at which all can be nourished. About "Contextual Theology For the Twenty-First Century"
Stephen B. Bevans, SVD, is the Louis J. Luzbetak, SVD, Professor of Theology and Culture at the Catholic Theological Union in Chicago. He is the author of several books, including Models of Contextual Theology, An Introduction for Theology in Global Perspective, and co-author, with Roger Schroeder, of Constant in Context: A Theology of Mission for Today and Prophetic Dialogue: Reflections on Christian Mission Today.